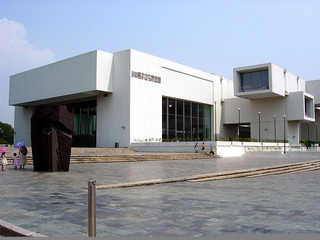 Taipei Fine Arts Museum, 2005-07-28 Image/Jpeg 800 × 600 Pixels © Wikimedia Commons. The goal of the Museum’s collection focuses on acquiring representative, creative, and outstanding works by significant local and overseas artists. The collection includes works from the beginning of the twentieth century, alongside artworks from the nineteenth century. We wish to continue the collection system of Chinese art where the National Palace Museum has left off in collecting Chinese antiques. Our collection is characterized by the art history of Taiwan and its modern features. The department is responsible for the acquisition, management, research and promotion of the artworks in the specific areas mentioned above. Its goal is to accumulate important assets of art for the general public, and to properly maintain, manage and utilize them. At the same time, the department conducts research on the collection. Through related exhibitions, publications and educational activities, it allows the combination of art and life and makes the collection accessible to everyone.